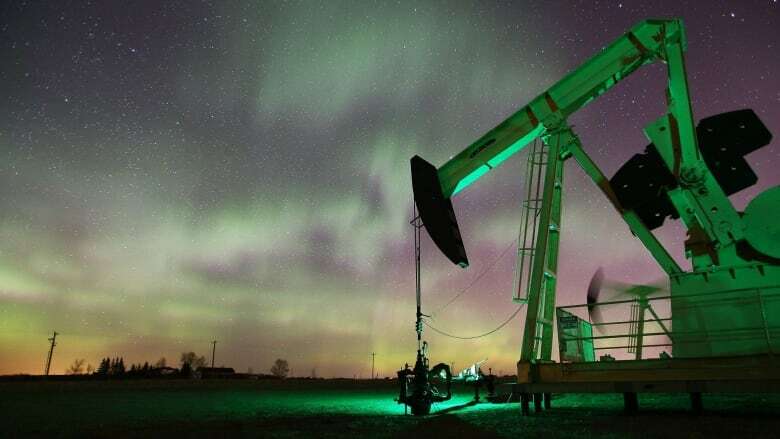 The price of the North American oil benchmark closed above $68 US a barrel on Wednesday, the highest level since 2014 as U.S. data showed inventories plunged by more than one million barrels last week. The price of the North American oil benchmark closed above $68 a barrel on Wednesday, the highest level since 2014 as U.S. data showed inventories plunged by more than one million barrels last week. West Texas Intermediate closed at $68.47 US on Wednesday, up $1.95 a barrel. The main catalyst was a report from the U.S. Energy Information Administration that showed the amount of crude oil stored in the U.S. fell by 1.1 million barrels in the week up to April 13, partly due to increased demand. "This may be one of the most bullish reports in some time, with the across-the-board declines in inventories," said John Kilduff, a partner at Again Capital Management in New York. "Gasoline demand was very strong, virtually summer-like." The last time oil was this expensive, it was on its way down from $100 a barrel in the fall of 2014, when a massive market oversupply pushed prices down as low as $30 at one point. But now prices are marching back up in part because of higher demand, but also because investors are expecting geopolitical tensions in Venezuela, the Middle East and elsewhere around the world to eventually knock some production offline. "Production cuts by the Organization of the Petroleum Exporting Countries [OPEC] and 10 non-OPEC oil producers including Russia, now in the second year of a two-year term, have combined with robust oil demand to drain a wide overhang in commercial oil supply held by advanced economies," said Phil Flynn, an analyst with the Price Futures Group in Chicago. Higher oil prices were good news for the TSX, which gained 176 points to close at 15,529. Oil companies led the way, helping push the energy sector up by 2.73 per cent. Even better news for Canadian oil companies is the gap between the U.S. oil price and the amount they can fetch is narrowing. A few months ago, the gap between the price of WTI and the Canadian oilsands blend known as Western Canada Select was more than $30 a barrel. Today, it's slightly more than $17, as a barrel of Western Canada Select was changing hands for $50.93 US on Wednesday.